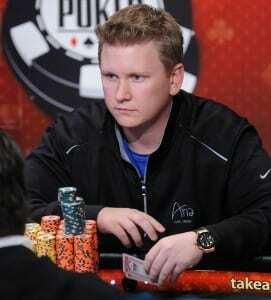 In 1985, the upcoming professional poker player Ben Lamb was born. Mr. Lamb was born in the United States of America in 2011 is the current leader in the World Series of Poker Player of the year rankings. r. Lamb was victorious in obtaining a world series of poker bracelet on one occasion so far, M any of the poker player in the best online poker review sites are confident that he will win more. Ben Lamb has won three in the money finished in the last three World Series of poker. Mr. Lamb became an official professional poker player in 2004, in two years Mr. Lamb won the 2006 United States Poker Championship five hundred dollar No Limit hold ‘em four hundred-player events for a prize of sixty thousand dollars. Many online pokersites say that Mr. Lambs favorite game in No Limit Texas Holdem Poker. Mr. Lamb has proven himself as a skilled poker player and has a long, and promising career in front of him.